A perfect weld seam is essential in a leak tight pipe. 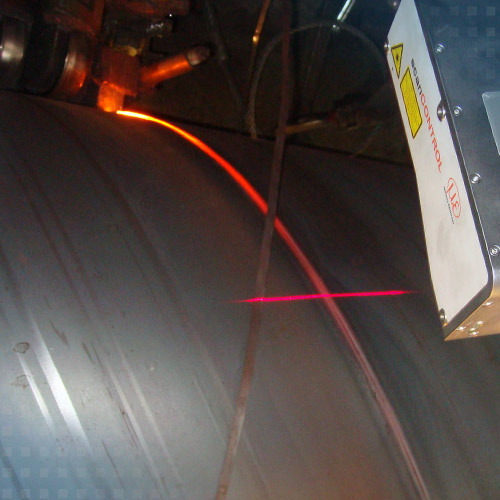 scanCONTROL laser scanners are therefore used during spiral welding to align the weld flanks. This results in a much more reliable welding process. The long base distance of 600mm and the protective housing for the sensor are also important here.